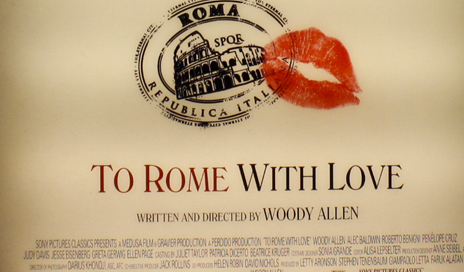 The pasta Garofalo continues his adventure in the cinema and arrived in the new film by Woody Allen, To Rome with Love, produced by Medusa Film and Gravier Productions, in Italian cinemas from 20 April. To Rome with Love is the story set in Italy of a series of characters, American, Italian, residents and tourists and adventures of which they are the protagonists. In the film, Woody Allen, Alec Baldwin, Roberto Benigni, Penelope Cruz, Judy Davis, Jesse Eisenberg, Greta Gerwin and Ellen Page. "Since we produced our first short film in 2008, our relationship with cinema is certainly matured and become even stronger and more essential to our way of communicating," said Emidio Mansi, Sales Manager of Italian Pasta Garofalo and added "we are really happy to have been able to make our small contribution to the last work of a director like Woody Allen and further enrich our presence in the Italian and international cinema " For manufacturers, Garofalo was a natural choice "for this film," Pasta Garofalo is the best quality in the world of Italian taste. The passion and commitment to the world of cinema make it without doubt the ideal partner. "Said David Nichols, one of the co-producers of the film. With the project Garofalo signature film, the company is committed in the first person, signing the production of five short films, two of which received important prizes and awards.